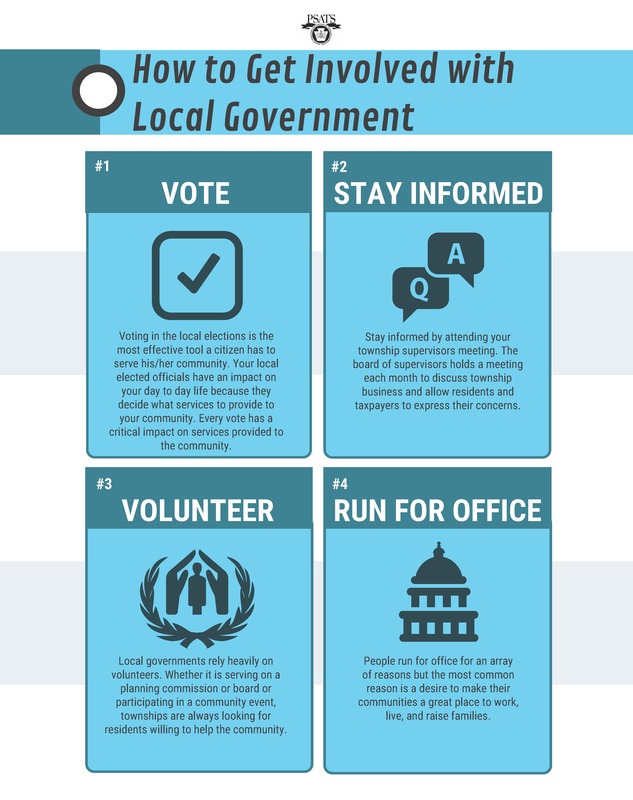 APRIL 8-12 IS LOCAL GOVERNMENT WEEK— an entire week dedicated to commending the hard work that you put into your township. 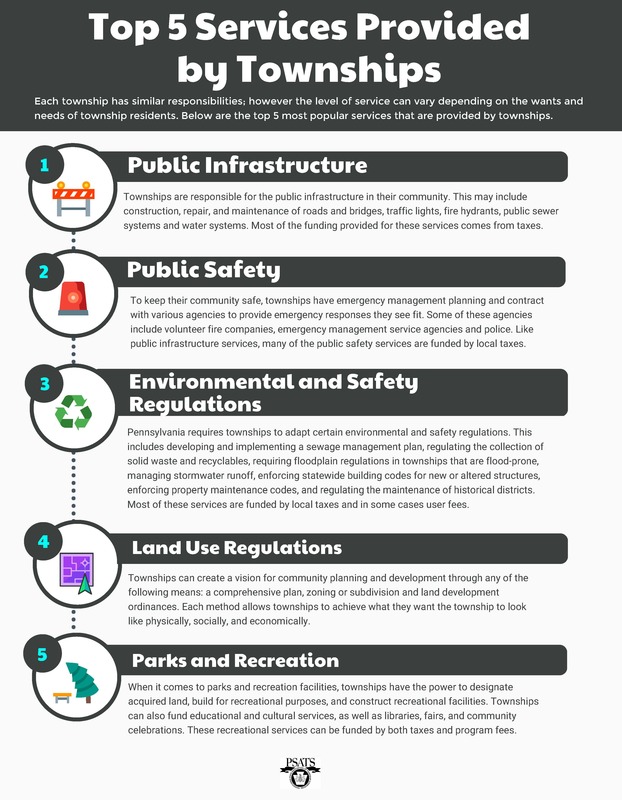 There are an array of services that you provide to your residents they may not be aware of. 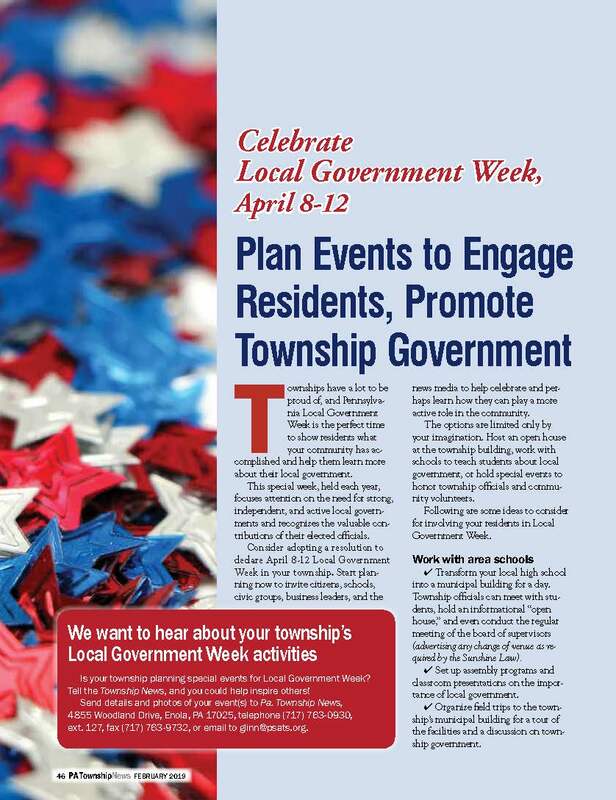 As a way to inform your residents about the many things you do for them and ways they can get involved in the township, PSATS has compiled a Local Government Week Toolbox to spread the word about what townships do! 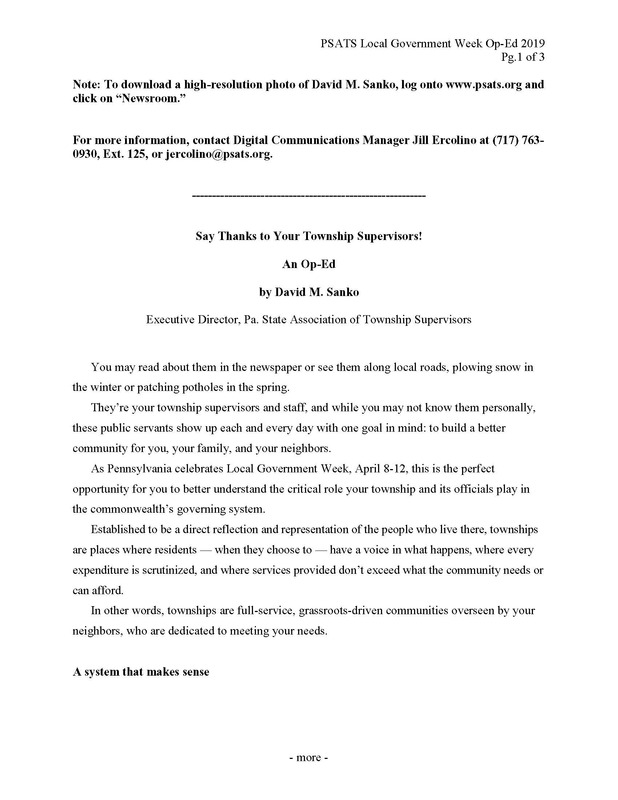 Thank you for all that you do for your communities! 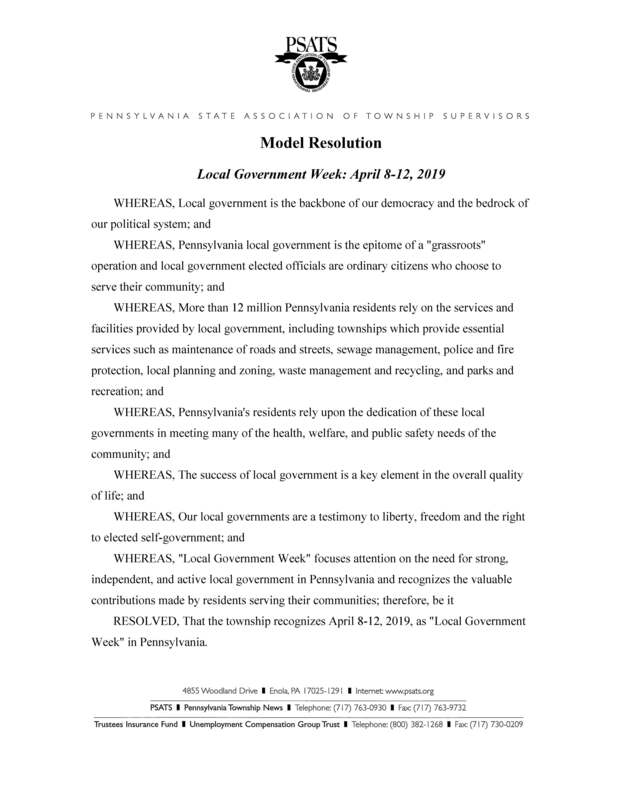 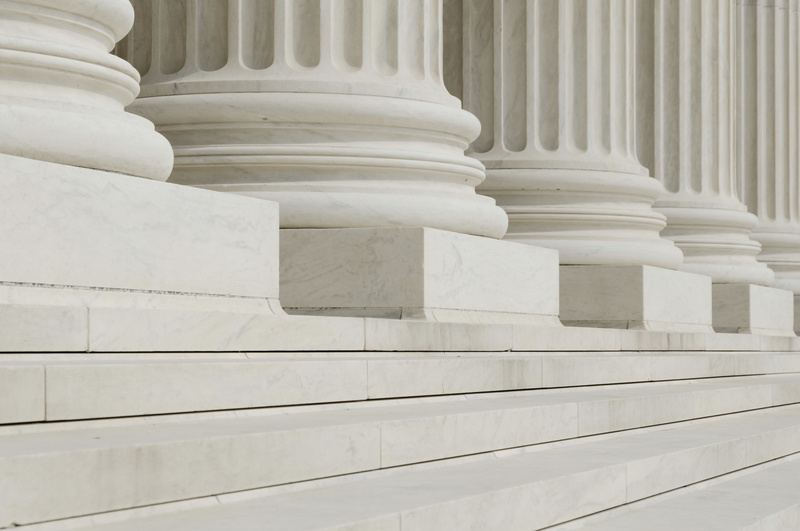 Happy Local Government Week!